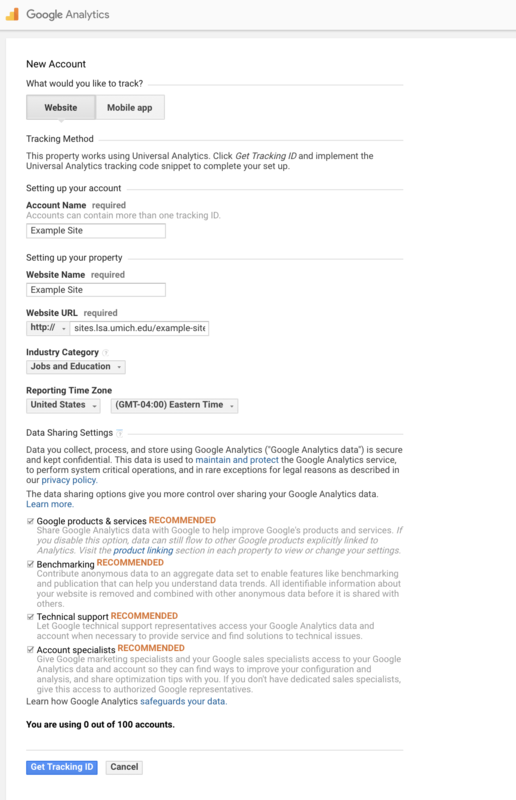 Go to analytics.google.com. 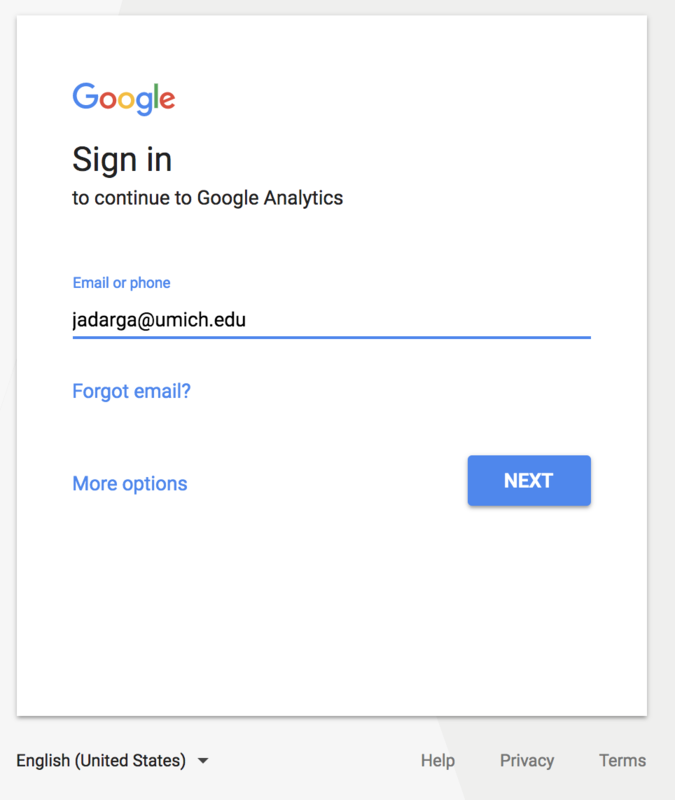 If you are already logged into your umich gmail account in that browser it will automatically log you in and you’ll be presented with an Analytics Dashboard [Figure 2]. Figure 2. The top arrow is pointing to the drop down to add a new account. 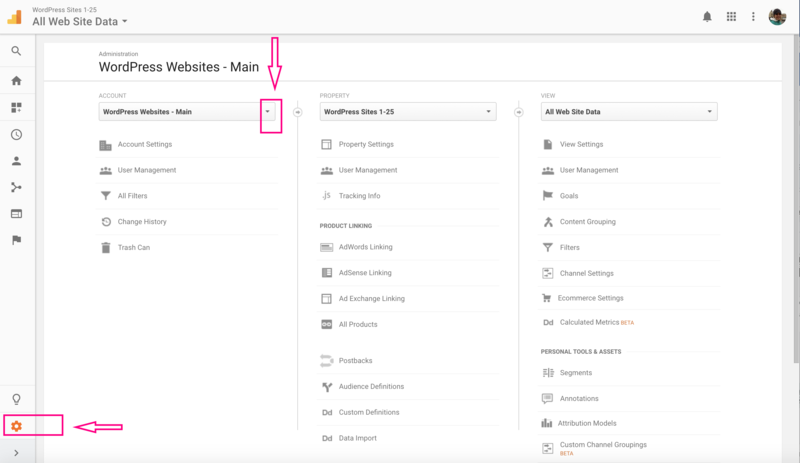 The cog, where the bottom arrow is pointing, opens the ADMIN panel. 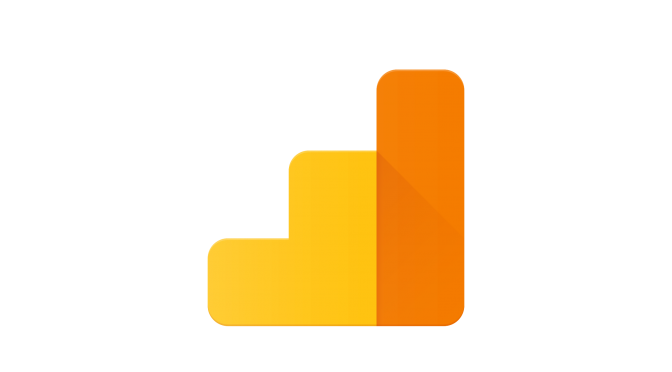 Make sure you are in the Admin Tab of the Analytics dashboard. 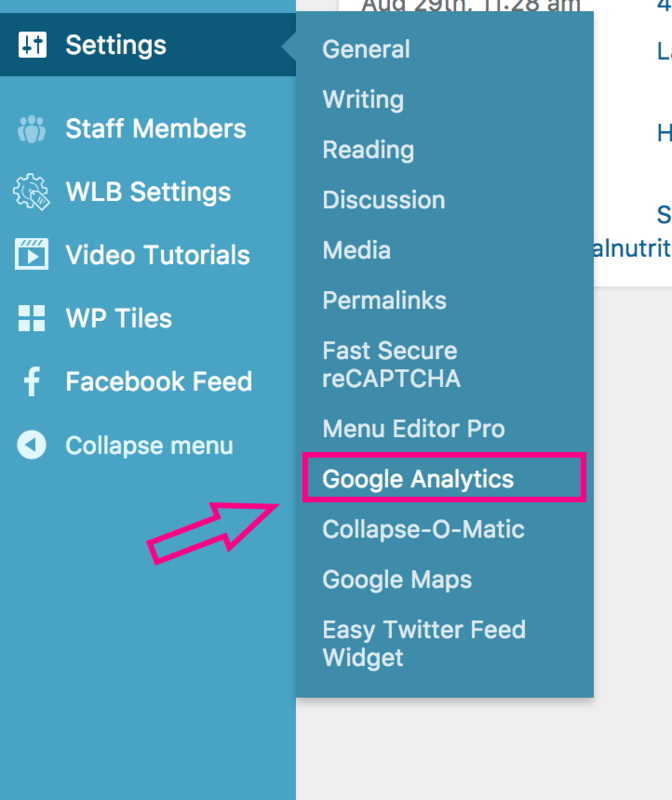 You can access the Admin tab by clicking the Cog icon in the dashboard [Figure 2, bottom arrow]. 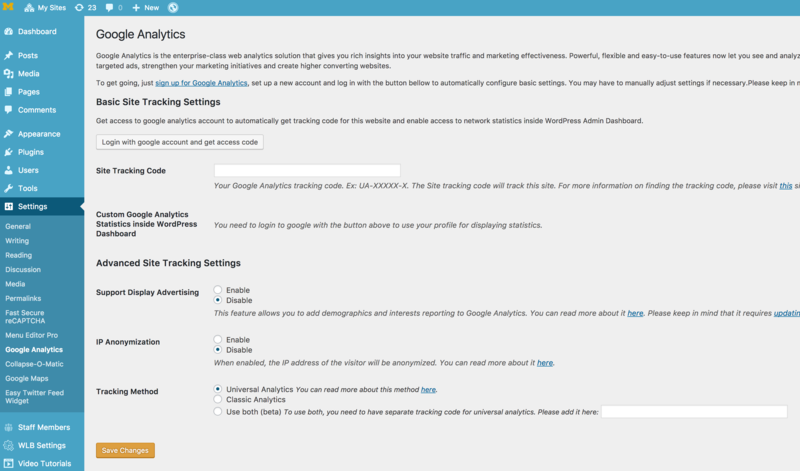 In this Admin view you’ll see the Account, Properties, and Views of whatever analytics count you last used. In Figure 2 above you’ll see the top pink arrow pointing to a drop down list under Accounts. Click that drop down list. 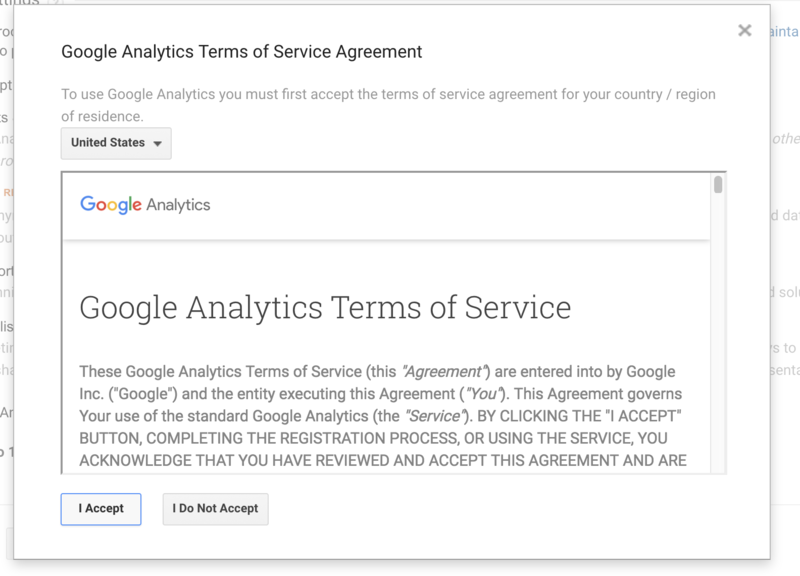 Important: Accept the “Terms of Service” pop up to retrieve your tracking ID [Figure 5]. 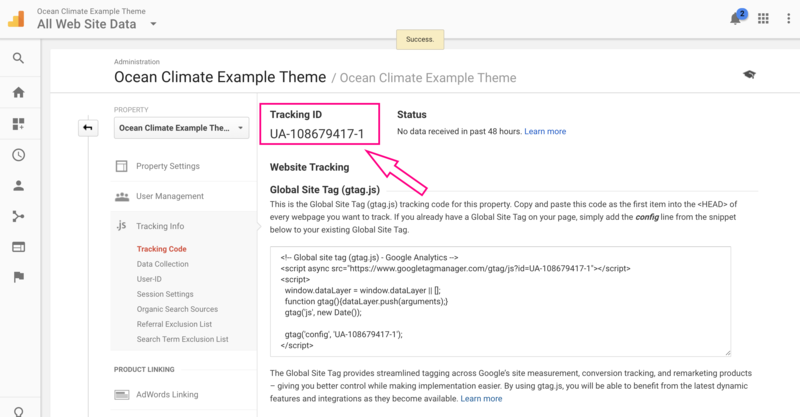 Open up your WordPress dashboard and navigate to “Settings / Google Analytics” [Figure 7]. Back in your analytics account window. 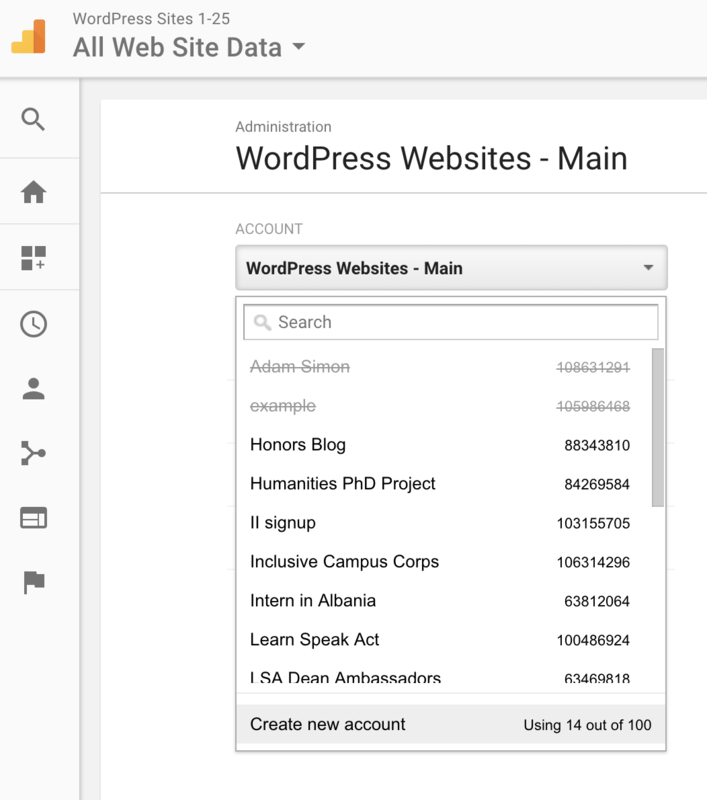 Click on the admin Cog icon (lower left side) to make sure you’re at the base level Administration page. See Figure 2, for a refresher.